A whole lot of Christmas wishes may be coming true after all: Kendrick Lamar may have new music on the way in 2019. 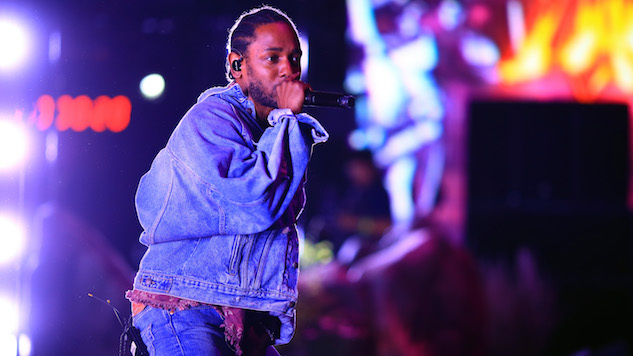 The news follows a recent Los Angeles Times interview in which the rapper denied rumors that he was working on the follow-up to 2017’s DAMN. Rumors were reignited Tuesday when Polydor Records, the imprint that handles Interscope’s European distribution, posted an Instagram story detailing the artists on their roster who will be releasing albums in the new year, with Lamar’s name included on the list. Other artists slated for releases include Lady Gaga, Madonna, Schoolboy Q and Lana Del Rey. See the full list below, via PopCrave. The Instagram story has since been deleted—whether that’s because of Lamar remains to be seen. In the meantime, we’ll have to take TDE executive Anthony “Top Dawg” Tiffith’s Sept. 4 advice and keep listening to DAMN. until K.Dot gets inspired again.